I’m happy to report that there’s a new show in town to entertain visitors when they arrive at Līhu`e…and it’s free! It’s been a long time coming but, thanks to some strong community collaboration, a very informative ocean safety video now plays in the arrival hall. It only takes six minutes out of your life, and it could save it! I believe the count currently stands at 11 drownings off Kaua`i this year (they are so damned frequent I’m beginning to lose count), and it’s only April! The majority of deaths were visitors. What a tragic way for a vacation to come to a grinding halt, not just for the victims, but for all the families and friends who had expected to escape their regular lives for a week or two in paradise. I don’t have a count of the far greater number of rescues, but I know that the lifeguards and other responders have been working overtime this year. 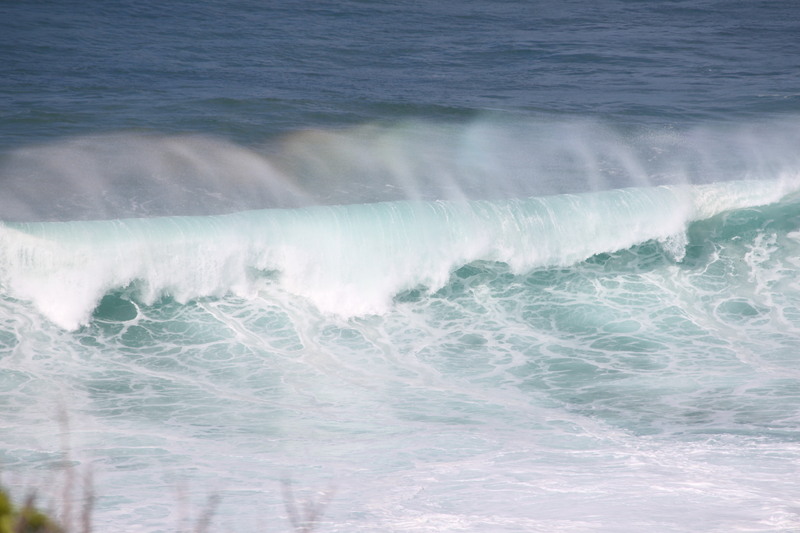 There are many folks who have had a very lucky escape; but their unpleasant experiences, and the risk to responders, could probably have been avoided if they’d been aware of the dangers in the ocean, particularly along the north shore in winter months. Take a look at the video below – even if you’re not planning a visit to the island, it captures the beauty of our beaches and impressive power of the ocean. I particularly encourage my CA friends to share the video, since Hawai`i is such a popular vacation destination for those on the West Coast.